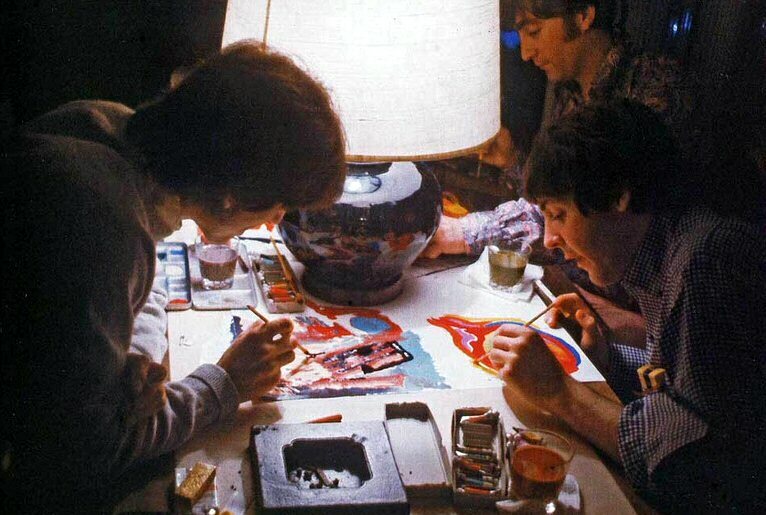 A unique and rarely-seen painting created by all four Beatles is about to go up for auction in the US. 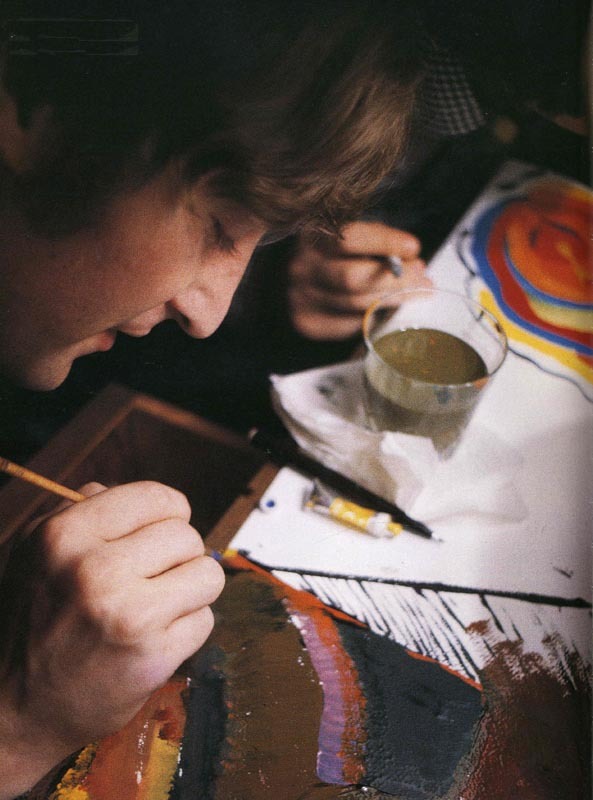 “The Atlantic” Online is reporting: “While on near lockdown at the Tokyo Hilton in 1966, John, Paul, George, and Ringo painted “Images of a Woman“. The Fab Four were in Japan to play three shows at the famed sumo-wrestling venue Budokan. But local authorities were so overwhelmed by Beatlemania that the Englishmen had to hole up in their hotel whenever they weren’t performing. 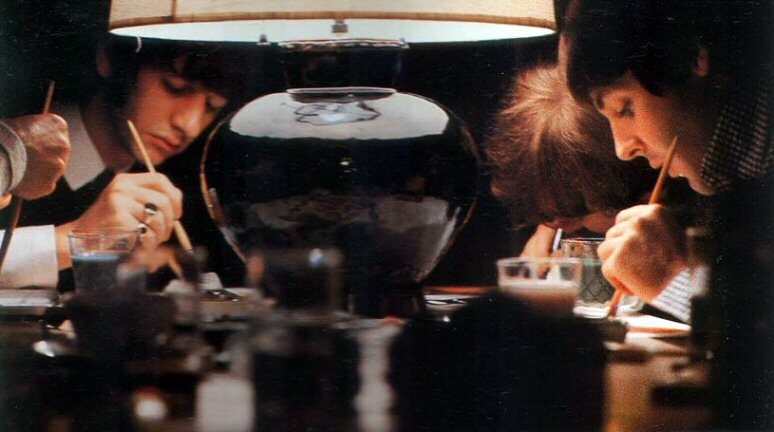 According to photographer Robert Whitaker, who was chronicling the tour, Brian Epstein brought the guys a bunch of art supplies to help pass the time. Then Epstein set a large canvas on a table and placed a lamp in the middle. 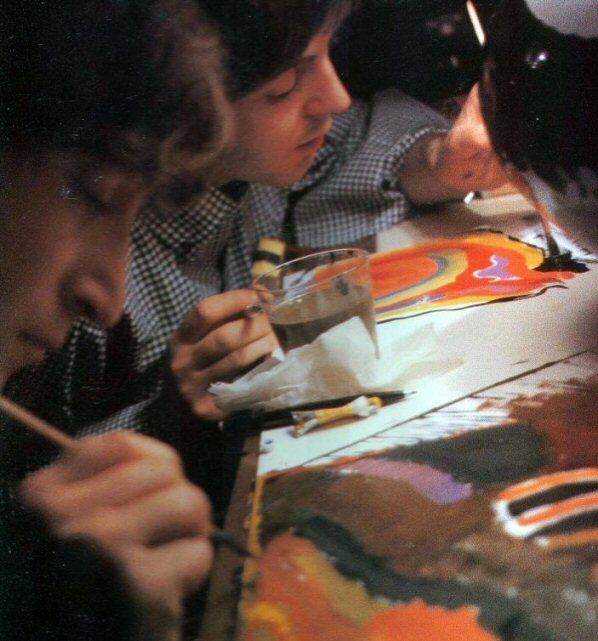 Each member of the group set to work painting a corner—comic strippy for Ringo, psychedelic for John. Whitaker later commented that he “never saw them calmer, more contented than at this time… They’d stop, go and do a concert, and then it was ‘Let’s go back to the picture! '” It was an almost Zen-like respite during one of the most electric world tours in music history. For three years, “Images of a Woman” hung on the wall in Nishino’s living room. But after acquiring a number of large Warhol lithographs, there just wasn’t enough wall space for everything. “When I bought it, I had also noticed that it was not well kept,” Nishino says. “Over the long term, the heat and humidity of Japan’s summer was going to be detrimental, so I bought this $5,000 humidity-controlled frame.” Noticing that the family dog, Taro, often escaped the heat by lying under the bed, he figured that would be a good place to store the boxed-up painting. Over the years, Nishino would lend it out now and then to a Japanese television station for a story, but he would always do so under a pseudonym. “I never intended to keep it such a secret, but I was worried about security,” he says. In 2002, he tried to sell it on eBay, but the deal fell through when it turned out that the buyer was using a stolen ID. 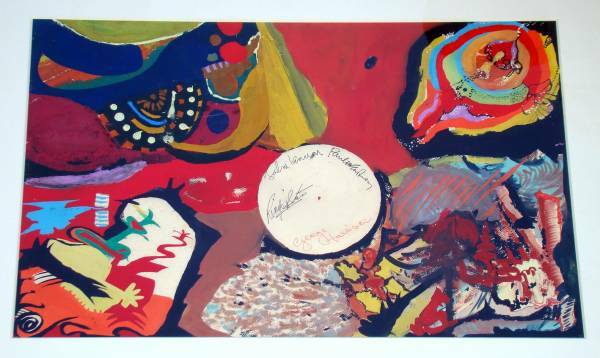 The painting, along with other Beatles memorabilia, is up for auction on September 14th through Philip Weiss Auctions in New York. The auction site has many more great photographs. 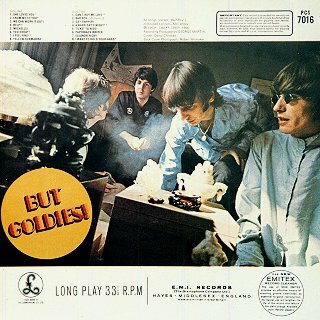 This entry was posted in Beatles, Beatles Collecting, Beatles Music and tagged Beatles, Beatles Collecting, manager brian epstein, Music, robert whitaker by beatlesblogger. Bookmark the permalink. It’s strange to compare the painting and the front cover of “Collection of Oldies” and notice that they are weirdly similar. 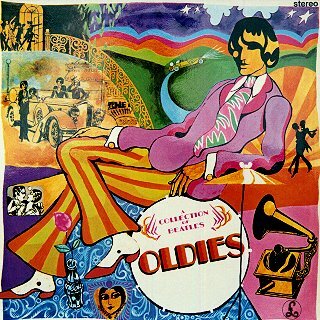 The artwork on “Oldies” is (sort of) split into four quarters, and uses a similar pallette of colours. 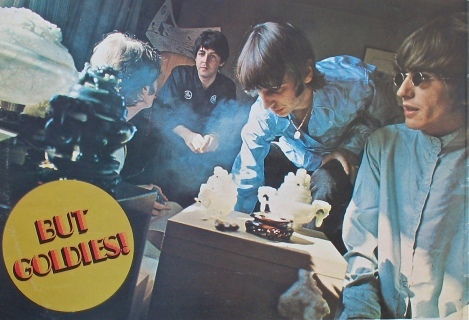 And, as if imitating the place where the table lamp stood, it has a white circle in the middle of all that colour, where the LP title is printed. Really good observation Terry. Thanks. Now that I look at it there are similarities! Hi Benjamin, thanks for this great link. Are you any relation to the great photographer?